Jason Hickel: Earlier this summer, a paper published in the journal Nature captured headlines with a rather bleak forecast. Our chances of keeping global warming below the 2C danger threshold are very, very small: only about 5%. The reason, according to the paper’s authors, is that the cuts we’re making to greenhouse gas emissions are being cancelled out by economic growth. In the coming decades, we’ll be able to reduce the carbon intensity of the global economy by about 1.9% per year, if we make heavy investments in clean energy and efficient technology. That’s a lot. But as long as the economy keeps growing by more than that, total emissions are still going to rise. Right now we’re ratcheting up global GDP by 3% per year, which means we’re headed for trouble. If we want to have any hope of averting catastrophe, we’re going to have to do something about our addiction to growth. This is tricky, because GDP growth is the main policy objective of virtually every government on the planet. It lies at the heart of everything we’ve been told to believe about how the economy should work: that GDP growth is good, that it’s essential to progress, and that if we want to improve human wellbeing and eradicate poverty around the world, we need more of it. It’s a powerful narrative. But is it true? Maybe not. Take Costa Rica. A beautiful Central American country known for its lush rainforests and stunning beaches, Costa Rica proves that achieving high levels of human wellbeing has very little to do with GDP and almost everything to do with something very different. Every few years the New Economics Foundation publishes the Happy Planet Index – a measure of progress that looks at life expectancy, wellbeing and equality rather than the narrow metric of GDP, and plots these measures against ecological impact. Costa Rica tops the list of countries every time. With a life expectancy of 79.1 years and levels of wellbeing in the top 7% of the world, Costa Rica matches many Scandinavian nations in these areas and neatly outperforms the United States. And it manages all of this with a GDP per capita of only $10,000 (£7,640), less than one fifth that of the US. In this sense, Costa Rica is the most efficient economy on earth: it produces high standards of living with low GDP and minimal pressure on the environment. How do they do it? 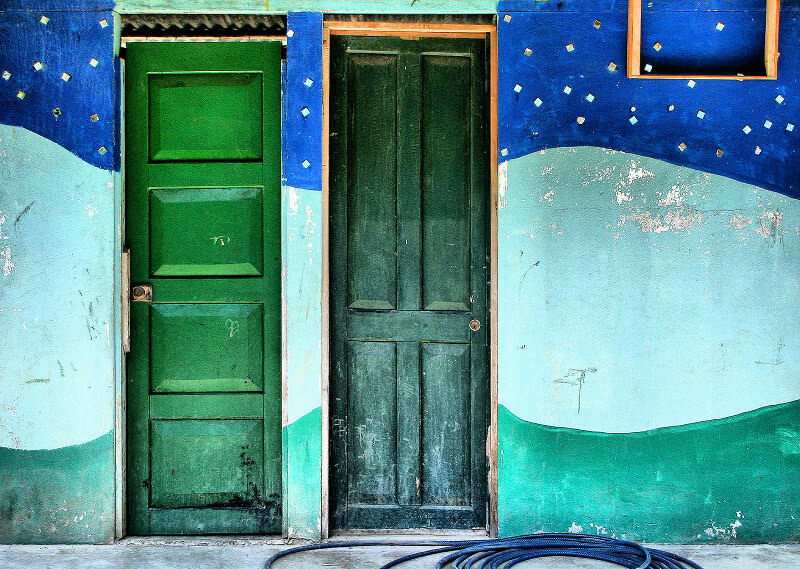 Professors Martínez-Franzoni and Sánchez-Ancochea argue that it’s all down to Costa Rica’s commitment to universalism: the principle that everyone – regardless of income – should have equal access to generous, high-quality social services as a basic right. A series of progressive governments started rolling out healthcare, education and social security in the 1940s and expanded these to the whole population from the 50s onward, after abolishing the military and freeing up more resources for social spending. Costa Rica wasn’t alone in this effort, of course. Progressive governments elsewhere in Latin America made similar moves, but in nearly every case the US violently intervened to stop them for fear that “communist” ideas might scupper American interests in the region. Costa Rica escaped this fate by outwardly claiming to be anti-communist and – horribly – allowing US-backed forces to use the country as a base in the contra war against Nicaragua. The upshot is that Costa Rica is one of only a few countries in the global south that enjoys robust universalism. It’s not perfect, however. Relatively high levels of income inequality make the economy less efficient than it otherwise might be. But the country’s achievements are still impressive. On the back of universal social policy, Costa Rica surpassed the US in life expectancy in the late 80s, when its GDP per capita was a mere tenth of America’s. All of this turns the usual growth narrative on its head. Henry Wallich, a former member of the US Federal Reserve Board, once pointed out that “growth is a substitute for redistribution”. And it’s true: most politicians would rather try to rev up the GDP and hope it trickles down than raise taxes on the rich and redistribute income into social goods. But a new generation of thinkers is ready to flip Wallich’s quip around: if growth is a substitute for redistribution, then redistribution can be a substitute for growth. Costa Rica provides a hopeful model for any country that wants to chart its way out of poverty. But it also holds an important lesson for rich countries. Scientists tell us that if we want to avert dangerous climate change, high-consuming nations – like Britain and the US – are going to have to scale down their bloated economies to get back in sync with the planet’s ecology, and fast. A widely-cited paper by scientists at the University of Manchester estimates it’s going to require downscaling of 4-6% per year. This is what ecologists call “de-growth”. This calls for redistributing existing resources and investing in social goods in order to render growth unnecessary. Decommoditising and universalising healthcare, education and even housing would be a step in the right direction. Another would be a universal basic income – perhaps funded by taxes on carbon, land, resource extraction and financial transactions. The opposite of growth isn’t austerity, or depression, or voluntary poverty. It is sharing what we already have, so we won’t need to plunder the earth for more. Costa Rica proves that rich countries could theoretically ease their consumption by half or more while maintaining or even increasing their human development indicators. Of course, getting there would require that we devise a new economic system that doesn’t require endless growth just to stay afloat. That’s a challenge, to be sure, but it’s possible. After all, once we have excellent healthcare, education, and affordable housing, what will endlessly more income growth gain us? Maybe bigger TVs, flashier cars, and expensive holidays. But not more happiness, or stronger communities, or more time with our families and friends. Not more peace or more stability, fresher air or cleaner rivers. Past a certain point, GDP gains us nothing when it comes to what really matters. In an age of climate change, where the pursuit of ever more GDP is actively dangerous, we need a different approach. In addition, there are a few other places you could mention. In terms of human development indicators, even Cuba is performing well in spite of the embargo. And comparing nation states only makes sense when it comes to centralized services such as health coverage. For other issues it might be better to talk about bioregions and culture/language communities. The vast majority of Costa Ricans (Ticos) choose to live in its central capital city to have access to global advantages and avoid the hot humid weather of tropical rainforests and tropical coasts. Most of the rest are connected to agriculture in a country that was once the most deforested on the planet and still is missing a third of its forests. And yet, CR tops the HPI because of small per capita ecolgical footprint, because it’s officially conserved a lot of what remains, population has soared so per capita footprint shrinks, and because its extraordinarily mountainous landscape combined with tropical humidty allows it to produce almost all its eclectricity through hydro – although at a heavy cost to the local ecosystems where dams have been built. Ticos self-report high wellbeing because, as Ticos put it, small country, large family. The “universalist” social policies involve a lot of patronage, which is problematic, and the environment is increasingy devastated by climate change and ever-advancing globalization. Can CR hang on to its lead on happiness? I’ve spent most of the last several years here with that question in mind, and I’m skeptical because he poulation may already exceed the environmental carrying capacity. And what matters more, imho, is that most of the population chooses to live in a modern city, which, like almost all cities, is a place where almost everything has been killed and most of the land covered with cement and tar or otherwise “developed”. Most of the world’s population now lives in such environments so most of its children are learning to live in these barren largely lifeless landscapes. The result here, like everywhere else, is the worst kind of poverty, unreflected in GDP or per capita income, and yet the percentage of persons concerned about that is tiny, and dwarfed by the number of persons who write about our brighter future while dreaming of independent wealt from crypto ponzis and such. 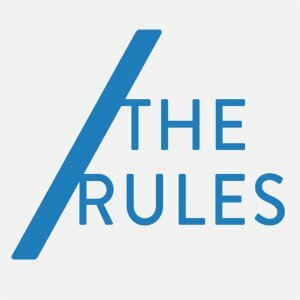 The Rules is a worldwide network of activists, artists, writers, farmers, peasants, students, workers, designers, hackers, spiritualists and dreamers, linking up, pushing the global narrative in a new direction.We focus on five strategic areas that are in desperate need of radical reform: Money, Power, Secrecy, Ideas and The Commons. We work with social movements, community leaders, cultural players, and everyday people with common adversaries and common goals. We explore world-changing ideas, dig up dirt on corporations and corrupt CEO’s, hurl metaphysical stones at governmental and societal repression, and offer material support to emerging movements and spontaneous activist fissures, wherever they occur.